How to use follow nofollow attributes? Implemented to prevent comment spamming and other black hat techniques, the NoFollow attribute appeared in 2005. Actually, this attribute is used to inform search engines not to follow a link and thus not distribute any page rank to the destination page. On the other hand, the follow attribute tells search engines to follow a link and give it the link juice deserved. The page rank of the linked-to page will thus increase. With OnCrawl, you can easily check your links breakdown and see your links attributes. In fact, you can monitor your internal and external links whether they are in Follow or No Follow. For instance, if you click on the ‘Internal | Follow’ you will access a more detailed report with your URLs data and settings. 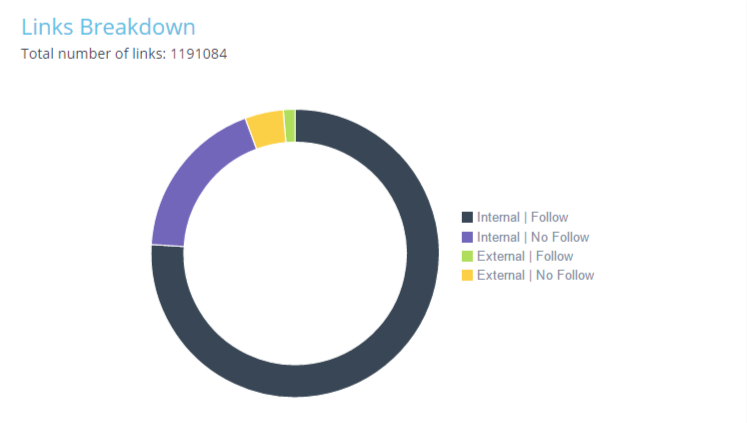 Even if the NoFollow attribute does not pass any link juice, those links can still bring a qualitative referral traffic. Also, Google gives attribute to other criterias like social signals that are delivered by social platforms like Facebook or Twitter that are however in No Follow. And then, those links can help you build trust. So do not neglect No Follow attributes. How to improve your attributes? To transform a regular link into a Follow or NoFollow one, you just have to add a short code in the link area such as <a href=’’http://www.example.com/” >link to a page</a> will be <a href=’’http://www.example.com/” rel=”nofollow”>link to a page</a>. It works the same for Do Follow. It can be added manually but many CMS offer that option.